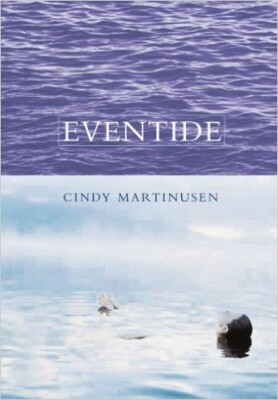 Eventide: the time from when the sun begins to set until total darkness has descended. It was once of those magical seasons that lives forever in memory. An Italian seaside village. Days of adventure and romantic exploration. Moonlight swims in a sparkling sea. A once-in-a-lifetime love. And though it ended in heartbreak, though she moved on to marry happily and have a son, Carrie never quite put that summer behind her. Now she’s dying young and still haunted by thoughts of her long-ago love. Her best friend Lauren, determined to put Carrie’s mind at ease, sets out to do something completely foreign to her own cautious, conservative nature. Out of love, Lauren will find and confront the man she despises, the man who broke her best friend’s heart, the man who has spent the last twenty years running from his past. Out of love, she will journey alone to retrieve secrets left behind after that never-for-gotten summer. And somehow, she will set into motion events that change nothing . . . but transform everything. As the mysteries of twenty years unravel, as husband and son and friend and even a long-lost love converge to say goodbye, something unexpected unfolds. Another seaside adventure. Another moonlight swim. And somethow, even at eventide, the miracle of enduring grace.